California is the wildlife state. Its varied topography and climate have given rise to a remarkable diversity of habitats and a correspondingly diverse array of both plant and animal species. California has more species than any other state in the United States and also has the greatest number of endemic species, those that occur nowhere else in the world (CDFG 2003). Wildlife provides significant economic benefits to the state through recreation, tourism, commercial harvest, and ecological services such as pollination. Many of the places where wildlife thrive are often the same as those valued for recreation and other human activities. By learning what threatens the state’s wildlife and the steps that can be taken to reduce those threats, California’s residents have the opportunity to become more active stewards of this precious resource, ensuring that the Golden State remains the wildlife state for generations to come. From the shores of the Pacific to the crest of the Sierra Nevada, California’s topography is unparalleled. Within 80 miles of one another lie the highest and lowest points in the lower 48 states—Mount Whitney at 14,495 feet and Death Valley at 282 feet below sea level. Geological and climatic forces have shaped the state’s topography and soils. Glaciation, sedimentary and volcanic deposits, movement along fault zones, the uplift of subterranean rock and sediment layers, and gradual erosion have created unique topographical features and a mosaic of bedrock and soil types. The state’s geography and topography have created distinct local climates. North to south, the state extends for over 500 miles, bridging the temperate rainforests in the Pacific Northwest and the subtropical arid deserts of Mexico. Many parts of the state experience Mediterranean weather patterns, with cool, wet winters and hot, dry summers. Along the northern coast there is abundant precipitation, and ocean air produces foggy, moist conditions. High mountains have cool conditions, with a deep winter snow pack. 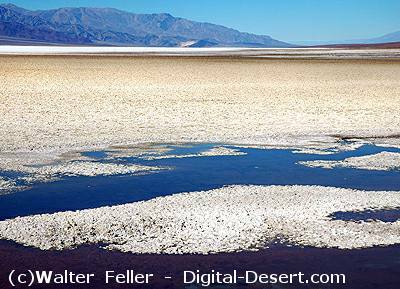 Desert conditions exist in the rain shadow of the mountain ranges. This exceptional variation in landscape features, latitudinal range, geological substrates and soils, and climatic conditions supports alpine meadows, desert scrub, coastal wetlands, sandy beaches, dunes and bluffs, oak woodlands, diverse grasslands, moist redwood forests, spring-fed lakes, and freshwater streams, rivers, and marshes. California leads the nation in numbers of native and endemic plant species. Its 5,047 native plant species represent 32 percent of all vascular plants in the United States (CDFG 2003, Jepson Flora Project 2002). Nearly one-third of the state’s plant species are endemic (Stein et al. 2000), and California has been recognized as one of 34 global hotspots for plant diversity (Conservation International 2005). The state’s native flora include many unusual species. The giant sequoia, an ancient species that has survived from the Tertiary age, is one of the most massive living organisms known. Coastal redwoods are the tallest trees in the world, reaching as high as 321 feet, taller than a 30-story building (CDF et al. 2005, Faber 1997). A bristlecone pine in California’s White Mountains, called Methuselah, at 4,767 years of age has lived 1,000 years longer than any other known tree (Vasek and Thorne 1988). California is home to the smallest flowering plant in existence, the pond-dwelling water-meal, less than a tenth of an inch across. The state also supports nine species of carnivorous plants, including sundews, butterworts, and the California pitcher plant. 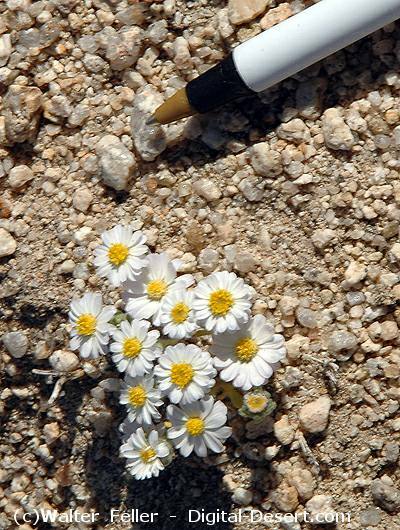 Numerous species have adapted to grow on serpentine soils that are low in calcium, high in magnesium, and full of chromium, nickel, and other metals toxic to other plant species. Closed-cone conifer species, such as pygmy cypress and some chaparral plants, need hot fires to complete their life cycles (Faber 1997). California contains examples of most of the major biological provinces, or biomes, in North America, including grassland, shrubland, deciduous forest, coniferous forest, tundra (alpine), mountains, deserts, rainforest (temperate), marine, estuarine, and freshwater habitats. Each of these biomes contains many different types of plant communities, such as redwood forests, vernal pool wetlands, or blue oak woodlands. Altogether, the state supports 81 types of forests, 107 types of shrublands, and 52 types dominated by herbaceous plants, in addition to 27 other types of vegetation (Sawyer and Keeler-Wolf 1995). Some of California’s plant species and communities, such as mixed conifer forests, chamise chaparral, and creosote scrub, are widespread. Others are highly restricted in their distributions, such as unique stands of Crucifixion-thorn, Gowen cypress, Hinds walnut, and Torrey pine. Some parts of the state are particularly rich in plant species diversity. Areas with the greatest number of plant species are the Klamath and inner North Coast ranges, the high Sierra Nevada, the San Diego region, and the San Bernardino Mountains. Other regions with considerable plant diversity are the outer North and Central Coast Ranges, the Cascade Range, the Sierra Nevada foothills, and the western Transverse Range (CDFG 2004). California has a high number of animal species, representing large portions of wildlife species nationwide. The state’s diverse natural communities provide a wide variety of habitat conditions for wildlife. The state’s wildlife species include 84 species of reptiles (30 percent of the total number found in the United States); 51 species of amphibians (22 percent of U.S. species); 67 species of freshwater fish (8 percent of U.S. species); 433 species of birds (47 percent of U.S. species); and 197 mammal species (47 percent of U.S. species) (CDFG 2003). Seventeen species of mammals, 17 species of amphibians, and 20 species of freshwater fish live here and nowhere else. The state has remarkable native fauna, including the largest bird in North America, the California condor (Poole and Gill 2002), the coast horned lizard that squirts blood from its eyes as a defense mechanism (Stebbins 2003), the tailed frog, which is among the most primitive living frog species (Ford and Cannatella 1993), and the once-endangered California gray whale. The wildlife state is home to 31 species of lungless salamanders, 29 species of colubrid snakes, 31 species of tyrant flycatchers, 17 species of woodpeckers, 27 subspecies of squirrels and chipmunks, 14 different species of kangaroo rats, and 12 species of shrews. Animal species are not equally distributed across the state. Some of California’s natural communities are particularly rich in wildlife species, supporting hundreds of species each. Twenty-four habitats— including valley foothill riparian, mixed conifer, freshwater wetlands, mixed chaparral, and grasslands in the state—support more than 150 terrestrial animal species each (CDFG 2005a). Oak woodlands also are among the most biological diverse communities in the state, supporting 5,000 species of insects, more than 330 species of amphibians, reptiles, birds and mammals, and several thousand plant species (CDFG 2003). Other community types may be especially important to a particular species or species group. 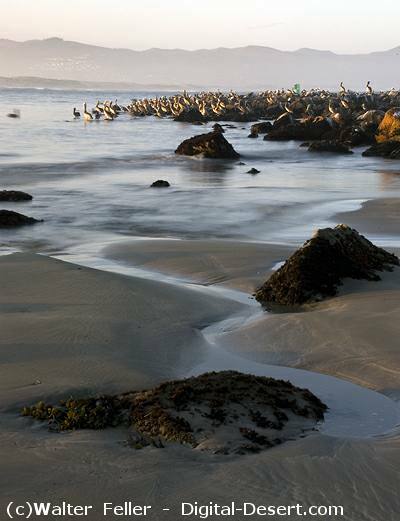 California’s rocky offshore islands typically support a limited number of species but are nonetheless important habitat for those species that depend on them for nesting; the islands host some of the largest breeding colonies of seabirds in the U.S. The Farallon Islands, for example, are home to 12 colonies, including the largest colonies of Western gulls and Brandt’s cormorant in the world and one of the largest ashy storm petrel colonies (PRBO 2004). California’s species display a variety of life history patterns, illustrating the many ways wildlife can make a living across a wide variety of habitats. Some of California’s wildlife species are habitat specialists, adapted to the vegetation, forage resources, landscape features, or climate of a particular natural community and are found almost exclusively in these communities. As with plant species, some wildlife species are not only dependent on a certain habitat type but are also restricted to a very small geographic range, perhaps occurring at only one site in the world. The valley elderberry longhorn beetle, for example, eats and reproduces only on the elderberry bush found in Central Valley riparian habitats (USFWS 1984). The marbled murrelet, a seabird, spends most of its life swimming and foraging in the ocean but flies inland to nest, where it relies almost entirely on the branches of old-growth redwood and Douglas-fir trees to provide wide nesting platforms (USFWS 1997). The willow flycatcher is dependent on willow thickets for feeding, cover, and reproduction (CDFG 2005b); the endangered salt marsh harvest mouse prefers pickleweed stands for cover and reproduction (CDFG 2005b); and bank swallows nest in natural river banks (CDFG 2005b). There are also numerous examples of animals that forage primarily on one or very few plant species. The red tree vole lives in Northern California coastal fog forests and eats only the soft inner tissue of Douglas-fir or grand fir needles (Williams 1996); pinyon jays seek pinyon, ponderosa, or Jeffrey pine seeds (CDFG 1988-1990); the chisel-toothed kangaroo rat of the northeastern Great Basin is largely dependent entirely on a particular species of saltbush (Atriplex confertifolia) (CDFG 1988–1990); and larval geometrid moths of the genus Drepanulatrix eat only leaves of Ceanothus species (Rindle 1949). Some of California’s unique wildlife species are adapted to survive in harsh, inhospitable environments. Unique taxa of native pupfish are adapted to salty warm waters of isolated desert pools and creeks. In the Central Valley, seasonal vernal pools evaporate quickly in the hot, dry summer conditions, leaving behind cracked and baking dry ground. Invertebrates like fairy shrimp species are adapted to this cycle, producing a tough casing that allows their eggs to remain dormant in desiccated conditions, only to emerge when rains refill pools the following summer (USFWS 2004). Kangaroo rat species that inhabit the eastern Modoc plateau, the Colorado Desert, and southern San Joaquin Valley are all well suited for extremely dry conditions (Williams et al 1998). They have specialized kidneys that enable them to excrete solid urine, conserving water and allowing them to survive for long periods without drinking. The alpine chipmunk lives in the Sierra Nevada, typically at elevations greater than 9,000 feet, where the ground is covered with a snow pack from 5 to 10 feet deep for nearly five months of each year. It survives by storing adequate seeds and other food resources during the summer months to sustain it through the winter (DFG 2005a). Some species are also restricted to a very small geographical area. This can occur when a species is strongly associated with a habitat that is naturally limited in extent or that has grown scarce (usually because of human alteration of the landscape) or when a new subspecies has evolved as a result of being isolated from other populations of the same species by geological or climatic changes. The desert slender salamander (state and federally listed as endangered), for example, is known only from two populations in the Santa Rosa Mountains in Riverside County. The species is a relic of cooler, moister climate regimes but now is restricted to canyon areas that provide cliffs and rock crevices where there is continuous water seepage (CDFG 2005b). The Mount Hermon June beetle and Zayante band-winged grasshopper (both federally endangered) are restricted to small outcrops of sandstone and limestone soils derived from marine sediments, known as Zayante sandhills habitat, in the Santa Cruz mountains (USFWS 1998). The island fox, the world’s smallest grey fox (state listed as threatened), occurs only on the six largest Channel Islands off the coast of Santa Barbara and Ventura counties (CDFG 2005b). There are many other examples of species with very limited ranges in California, including invertebrates limited to a particular group of vernal pools and invertebrates, reptiles, and amphibians restricted to particular desert dune or spring systems. Conversely, other species are habitat generalists, able to survive in many different conditions and to make use of many resources to meet their needs for survival. And, while some entire species’ populations are restricted to small areas, there are also wildlife species that are notable for their ability to travel widely or for the large home range occupied by just one individual or family of the species. Herds of mule deer and pronghorn, for instance, can cross distances of more than 100 miles traveling between their summer and winter ranges in northeastern California. The California bighorn sheep summers in the high elevations of the Sierra Nevada (up to 14,000 feet) and migrates to lower-elevation sagebrush-steppe habitat (below 5,000–6,000 feet) to escape deep winter snows (Zeiner et al. 1990). Some predators, like the mountain lion and fisher, may cover thousands of acres when hunting; much larger areas are required to sustain entire populations (CDFG 1998). Many of California’s bird species also travel substantial distances over the course of their seasonal migrations. Birds that spend their summers in the upper mountainous elevations, such as the yellowrumped warbler and cedar waxwing, descend tens or hundreds of miles during the wintertime to forage in the milder climates in the Central Valley or along the coast. Long-distance migrating birds, including numerous species of swallows, terns, hawks, shorebirds and songbirds, forage or nest seasonally in California. The golden-crowned sparrow uses California as a winter home and spends summer months far to the north. The Swainson’s hawk migrates between California and the tropics. The long-term conservation of animal species depends on healthy, functioning ecological systems. These systems, in turn, depend on a wide variety of plant and animal species that have important ecological roles. Plants are essential for maintaining a healthy environment for both wildlife and humans. They provide a host of ecological services, maintaining soil, water, and air and controlling destructive biological invaders. As primary producers in ecosystems, green plants transform solar energy into living matter, which is utilized as sources of food, shelter, and habitat structure by other species, including humans. Plants build soil, absorb runoff from winter storms, help recharge under-ground aquifers, and reduce erosion. A rich diversity of plant species is also essential for recovery from environmental disturbances like flooding, fires, drought, and mudslides. A catastrophic fire can reduce a forested area to a relatively barren state, and plants that can tolerate bright sun and water stress typically are the first to re-establish there. These species increase shade and retention of soil moisture, creating conditions that allow other plants to become established. Over time, given the right conditions, vegetation similar to the original, pre-fire forest may return. A dramatic example of what can happen when plant life is removed is illustrated by the hydraulic mining that occurred in California during the late 19th century, which removed the vegetation of entire watersheds across the Sierra Nevada. Lacking its protective cover of plants, the ground was laid bare to winter storms; rapidly increasing runoff eroded deep gullies and removed valuable topsoil. Downstream, farmers in the Central Valley suffered devastating floods that buried houses and entire farms under 15 to 30 feet of sediment (Holliday 1999). The damage was so extensive that, even now, 130 years after such mining was outlawed, some parts of the Sierra Nevada are still recovering. Plants absorb chemicals from the surrounding environment and thus are natural filters of pollutants from the soil and water. Plants are used in bioremediation of coal mine and industrial wastes (Missouri Botanical Garden 2005). Wetlands are so successful at cleaning water that some cities use them as part of their municipal water treatment process (City of Arcata 2005). Healthy populations of native plants also control the spread of insects, diseases, and damaging invasive plants. Plants provide the basic physical structure for most animal habitats. For example, in the canopy of an oak forest, birds use branches for nesting, and invertebrates use twigs and bark for laying eggs. Birds like flycatchers and raptors use exposed branches to launch aerial attacks on flying prey. Below the canopy, animals use trunk cavities for nesting and hiding, even after the tree itself has long since died. Woodpeckers and other animals probe the tree’s bark for insects to eat. At least 60 bird species use cavities in trees for nesting and cover. Woodpeckers, sapsuckers, and flickers may also use trees as granaries for storing acorns and other seeds for later use (Scott et al. 1977). In the understory, shrubs provide cover from predators, particularly for more vulnerable young animals. The litter layer on the ground retains moisture that allows invertebrates and amphibians to survive the dry season. Below ground, the extensive root network of mature oaks enables mammals and insects to burrow into the soil for dens and other shelter. Wildlife species are important components of functioning ecosystems and for the survival of plant species. Animal species depend on one another, often as part of the food web, and they create or maintain habitat conditions for one another. For example, in the Central Valley, California ground squirrel burrows provide shelter for other species, including the California tiger salamander and burrowing owl (CDFG 2005a). Beavers are well-known dam builders, creating small wetlands used by a host of other animals. Some animal species are integral to sustaining the life history of plants, playing an important role in pollination, seed dispersal, and decomposition. The yucca moth is the sole pollinator of chaparral yucca in San Diego County, and the yucca seeds are the sole food source for the moth larvae (Cox 1981). Solitary bees pollinate vernal pool plants. These bees nest in holes in the uplands and emerge in the spring at the precise time their food sources, vernal pool plants such as Downingia and Limnanthes species, are flowering (Thorp 2005). Birds and small mammals can also help disperse plant seeds as they eat or collect and transport them. For example, kangaroo rats and most herbivorous rodents harvest and store grass and herb seeds for later use; often, these seeds germinate, forming new plant populations. Worms, millipedes, and other invertebrates are responsible for conversion of plant matter detritus into soil, needed for both plant and animal life. 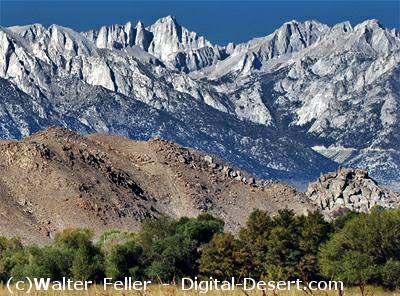 Mt Whitney as viewed from Lone Pine, Ca.